Get the girls together for a night in, enjoying the luxury of spa treatment in the comfort of your own home.Which party theme will you choose? Or have a combination of both! Treat yourself & your friends with a night of grooming & fun in your own home with one of our pamper parties for between 5 & 15 guests. Enjoy a soothing evening of relaxing treatments in your own home with one of our spa evenings for between 5 and 15 guests. Isn’t it time you spoil yourself and your friends with luxurious beauty treatments within the comfort and privacy of your own home or chosen venue? Let us help kick start your weekend, night out or special event! 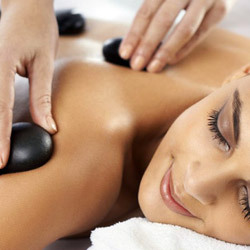 We provide professional spa and pamper treatments in the Leeds, Bradford, Halifax and West Yorkshire areas. We can provide our services to other areas however travel costs may be incurred. Prices are £40pp and include a whole host of treats, see below for more information. 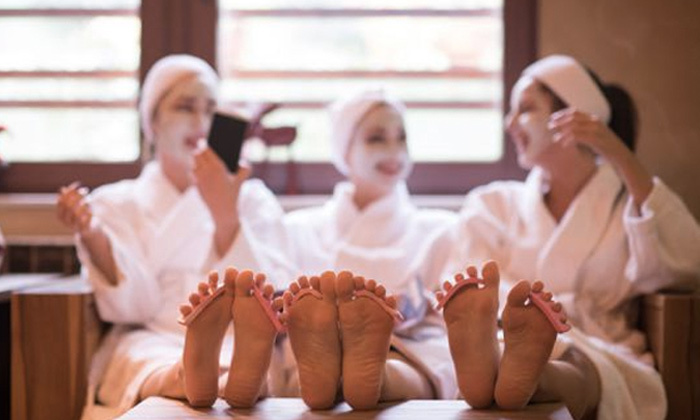 Get together with 5-15 friends for an evening of pampering and fun! – Heated rollers for big hair. one of our spa evenings for between 5 and 15 guests. and we can discuss your specific requirements. Are there any pre-advice tips for parties? – Remember to bring open toe sandals when choosing pedicures. – Remember to take car keys out, etc before having fingernails painted. 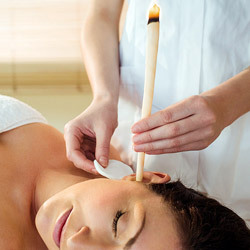 – Try to avoid stimulating caffeine drinks before spa evening parties, for ultimate relaxation. – Turn mobile phones on silent or vibrate as courtesy to other guests having treatments. – Try to avoid moisturising, when wax treatments are to be carried out. – If having a tanning treatment, please ensure that you wear loose, dark clothing to go home in. – Could all guests having self tan exfoliate before attending party, or exfoliation can be done as an add on treatment. 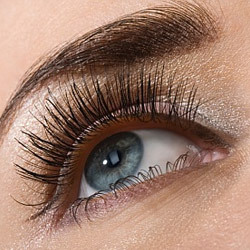 – When booking in for eyelash or eyebrow tints, a test patch will be required 24 before party. If you have had this treatment before, then you will be asked to sign a disclaimer for insurance purposes. – Please keep alcohol to an acceptable limit during the evening, as this could effect treatments. – You will be asked to fill out a health questionnaire on arrival. The company was set up by Julie Drummond who has over 20 years experience working in the health and beauty industry. Her past valuable knowledge is brought from a career in International Spa Management including Spa Director in the Middle East, Europe and the UK working in Health Clubs, Spa’s and 5* hotels. We are based in West Yorkshire and visit Leeds, Bradford, Halifax and other surrounding areas. But all areas will be considered depending on venue and number of guests attending. Please call or email us to arrange a confirmed suitable date. A booking form will be then sent out. This informs us of people attending party, treatments required and time arriving at party, so we can pre-plan treatments accordingly. When the form has been filled in, please return to instructed address with a 50% deposit.. Through tried and tested methods, we have now found that when a deposit is taken, guests paying a deposit will be more committed to attending. This relieves pressure from the hostess who has taken time and passion to make the party happen.